In North Florida, you’re never far from a fresh water creek. This is a lucky thing for those interested in archaeology and paleontology, as these creeks are some of the best places to find fossils, most notably shark teeth, ray teeth, and other bits and pieces of the fossil record. Florida is a great place to find these fossils due to the fact that it has been covered by water in the (relatively) recent past. 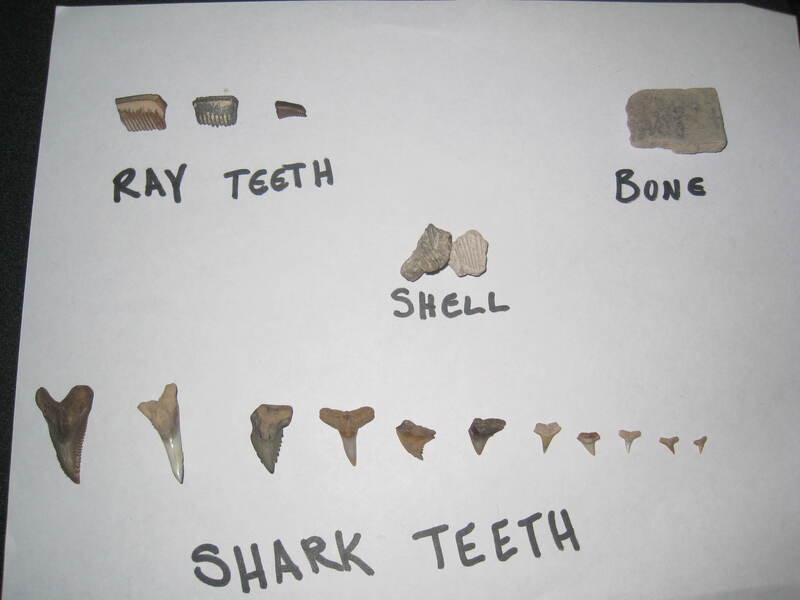 Here are some tips to finding fossils in Florida’s creeks. All you really need to go fossil hunting in the creeks is a pair of boots for walking through the water, and a plastic bag to put the found fossils into. Some people may choose to bring a spade and a strainer, but these things really aren’t necessary, and you can end up missing some of the smaller fossils. I’ve found the best way to find fossils is to just sift through the sand by hand. Step 2: Picking your spot. When picking a spot to look for fossils, the best places to look are areas in the creek where there are a lot of little rocks. 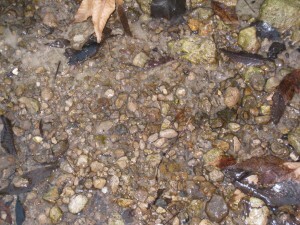 Don’t bother looking in the sandy areas, because you aren’t likely to find any fossils there. If you don’t find any fossils in the first area you try, just move on and try a different one. Step 3: Sifting through the rocks. Finally, once you have found the perfect spot, grab a handful of rocks, and begin to sift through them slowly, searching for fossils on the way. It is easiest if you throw out the big rocks right off the bat, that way you have a smaller handful to look through. Don’t be discouraged if you don’t find any fossils in your first handful, just keep digging until you find what you’re looking for! 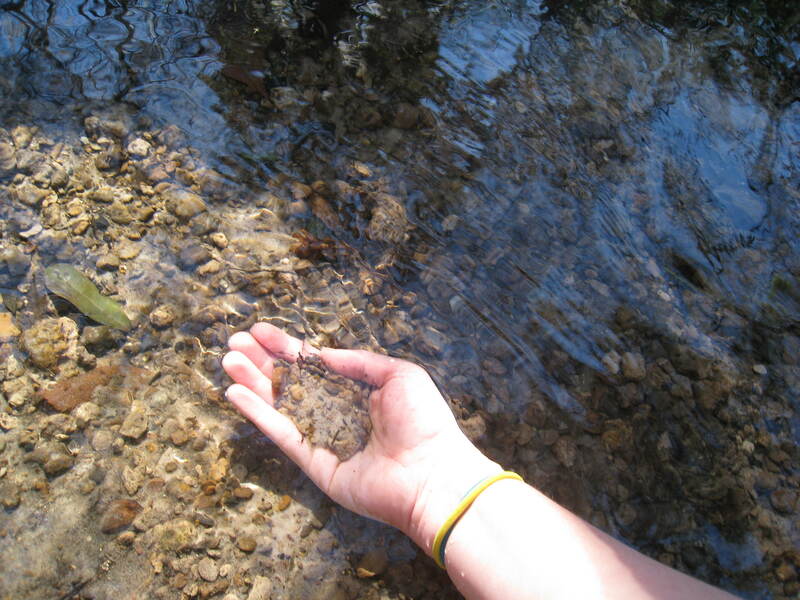 Sifting through the pebbles, you can use the water in the creek to wash the sand out of your handful.